This soothing, uplifting blend of Vanilla & Lime Blossom deeply moisturizes, leaving every strand revitalized and repaired. Your hair will be deeply hydrated without being weighed down. This deeply hydrating Infusion heals and repairs your hair. It contains antioxidants and cell rejuvenators. Perfectly blended for lifting your spirit, with the aphrodisiac properties of natural Vanilla. Tocophersols (Vitamin E), Simmondsia chinensis (Jojoba oil), Purified water, Calendula officinalis, Citric acid, Cetyl stearyl alcohol (derived from vegetable oil), Cetrimonium Cloride, Hydroxmethyl Glycinate( a natural preservative derived from plant material). Blended with pure essential oils of Vanilla planifolia (Vanilla), Citrus auranti folia (Lime Blossom), Sanalum spicatum (Sandalwood), Lavadula angustifolia (Lavender), and Wild Flower Honey (from our local beekeeper). Vanilla Essential Oil — Vanilla is not only deeply fragrant, it has a relaxing and calming effect on the brain and the nerves that provide relief from anxiety,anger and restlessness and as a powerful aphrodisiac. It is rich in antioxidants which prevent and reverse skin damage caused by free radicals. An ancient bean, used for centuries in South America, the Caribbean, and Mexico. Lime Blossom Essential Oil — Lime Blossom lowers blood pressure and contains many antioxidants that protect against stress. In folklore, the Linden tree (from which Lime Blossom comes) is known as the “Tree of Lovers.” It has anti-inflammatory properties and is blended here with Vanilla for a calming and transcending experience. Because I have allergies to various product ingredients, Laurie custom mixes my conditioner, leaving out the scents. I love knowing I can use a conditioner that’s tailor made for me. And my hair feels so soft! Vanilla & Lime Blossom OH MY !!! My hair is Long and completely unmanageable at times . I was introduced to this most Amazing Conditioner and I have to say I am totally in LOVE!! Not only does it smell so Beautiful almost like a rich Pudding. It also leaves my hair Manageable, Soft and Beautiful. I use it after washing my hair with the Rosemary & Lavender Shampoo. I usually leave conditioner on while i wash up etc. up to 10 min. or a little less. When i wash out conditioner my hair is so soft and smells Beautiful. 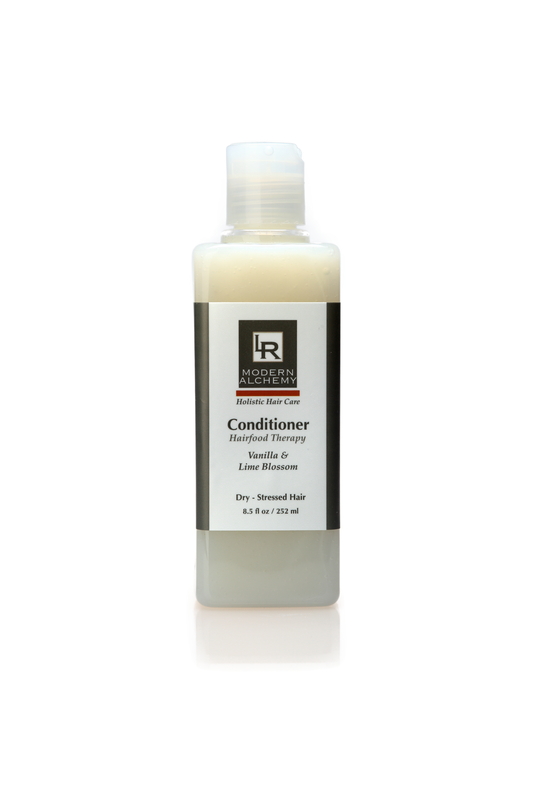 I can go about 3 to 4 days between washes, because this Wonderful Conditioner provides manageability and a soft light fragrance between washes.